Reaching their bleep quota of 2, Mark and Grant make a real doozy of an episode as Grant prepares to ship off to his new adult life. They talk about what food adults eat, and how to properly heat up pizza. Mark brings a Moderately Confused comic to discuss the current Craft Brewery scene across the nation. Some nice folks and dogs interrupt Mark. Nearly coming to verbal blows, Mark and Grant have a bit of a disagreement over the culture of hard liquor and spirits. 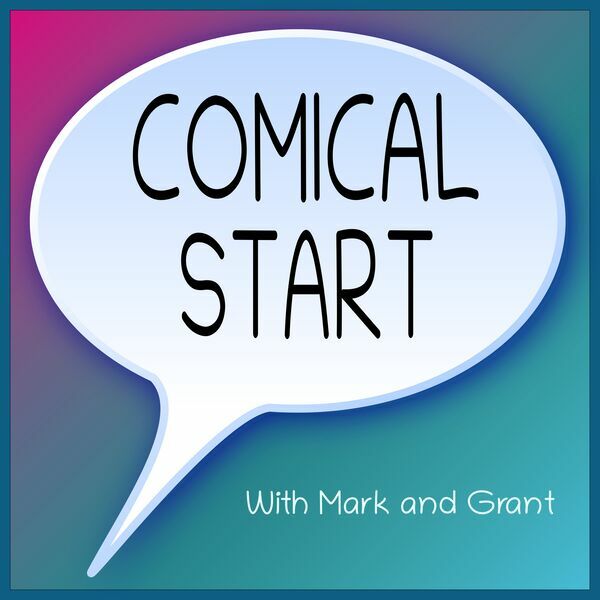 Grant offers up a Speed Bump comic he saw in an elevator, and managed to track down with a bit of cyber-sleuthing. They discuss eyewear, stress balls and Oobleck, and hint at a future conversation about growing up.